When the heads of state and government meet for the G20 summit in Hangzhou in early September, the state of the global economy will be foremost on their minds. The recovery from the 2008 financial crisis has been sluggish, which proves that fresh thinking will be necessary. 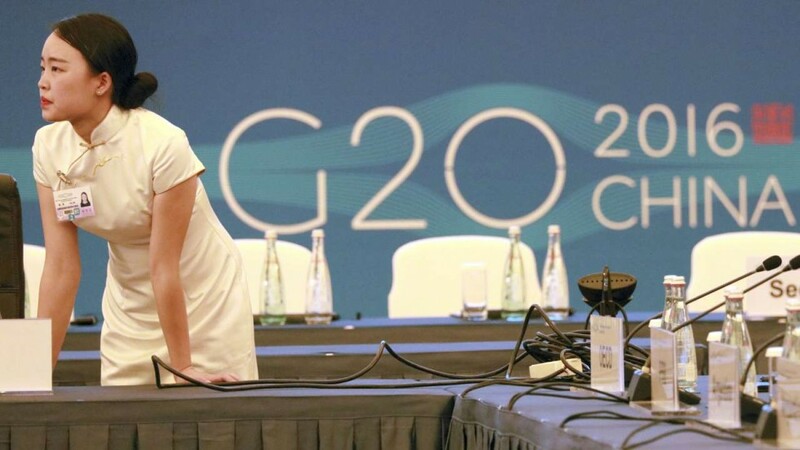 The theme of the Hangzhou summit, which stresses the importance of an innovative, invigorated, interconnected and inclusive world economy, shows that that is exactly what the Chinese G20 Presidency has in mind. As then President Hu Jintao emphasised in his speech during Tsinghua University's centennial celebration in 2011, high quality education is essential for the rapid development of the economy and society. Therefore, innovation requires strong investments in university research and education. However, universities in many parts of the world are going through tough times. The economic crisis of 2008 has slashed large parts of the endowments of universities in the U.S. Many graduates avoid pursuing university degrees because they are not sure that they will be able to repay their student loans. This is the result of decreasing job opportunities and lower pay. This leads to lower enrolment numbers and decreasing university income. Because of low growth numbers, European governments struggle to find the money to adequately fund their universities. Consequently, the state of the economy in these parts of the world is diminishing the innovative capacity of universities, rather than getting a boost from it. The summit participants may have noticed the recent Shanghai Ranking, in which two of China's universities, Peking University and Tsinghua University, have made it into the top 100. As the saying goes, whether the water is cold or warm, the ducks are the first to know. Therefore, the fact that these two universities have been ranked so highly by the world's academic barometer is very significant. It exemplifies the high quality teaching and the path-breaking research which nowadays characterise China's leading universities. Western academics such as myself, who serve as visiting professors and foreign experts at Chinese universities, are privileged to be part of this exciting development. The support the universities receive from the Chinese government has been a decisive factor. Since the mid 1990s, with the help of initiatives like Project 211 and Project 985, the Ministry of Education has been working very hard to assist the leading universities in gaining world standing. This allows them to compete with the world's leading universities and to contribute to China's economic and social development. Consequently, the education offered by and the research conducted at these universities have grown in strength, while management, recruiting and promotion have been professionalised. These efforts to put Chinese universities on the map have not turned them into elite institutions. Quite the contrary, since more than 15% of the college-age group are enrolled in universities, China has mass higher education. And the good news is that this percentage keeps growing every year. This Chinese academic upturn partly results from the internationalisation efforts that have been undertaken. Chinese master students and PhD candidates study abroad in large numbers. There are active exchanges at faculty level, complemented by international conferences and joint research projects. Chinese scholars are encouraged and facilitated to publish in reputable international journals, especially those which are on the Social Sciences Citation Index. But you need two to tango. When Chinese scholars reach out to the international academic community, they should be welcomed and included. This does not always happen, especially in the humanities and the social sciences. Chinese authors sometimes find it difficult to get their articles published in foreign periodicals, even if they meet academic standards. And they are not adequately represented in the editorial boards and the key committees which set the research agenda. This is caused by the fact that parts of academic science are still very much determined by Eurocentric concepts, insights and methodologies, as was the case during colonial times. Scholars operating out of the U.S. and Europe sometimes assume that their hypotheses represent global trends. They often seem unfamiliar with alternative approaches from the Global South, which can refresh and enrich the academic debate by challenging or complementing these assumptions. As a result, these Southern approaches do not get through to the mainstream academic discourse, and science is the poorer for it. Thus, researchers in the behavioural sciences who publish in the leading journals frequently extend their findings to humanity in general, while 96% of their respondents come from Western industrialised countries. Despite the fact that they are only studying a narrow subpopulation, i.e. people from Western, Educated, Industrialized, Rich and Democratic or 'WEIRD' societies, they present their conclusions as applying to human kind in general. Therefore, to retain its validity and legitimacy, international academic research should become more inclusive. In the area of human rights this will be role of the "Cross-Cultural Human Rights Center," which is currently being set up in Amsterdam in the Netherlands. The center is a collaborative effort of scholars from all corners of the world, mainly from China and Africa, who share the idea that local culture is an important building block for human rights protection. The aim of the center is to give a voice to the Southern wisdom in the area of human rights in a way which mainstream actors will find difficult to ignore. Similar centers deserve to be set up for other disciplines.